August 30, 2010  In anticipation of a generic version of the blood thinner Plavix, a debate over the value of a genetic test to predict patients' reaction to the medicine is heating up. August 20, 2010  An expert panel supported Food and Drug Administration approval of a popular antidepressant for the treatment of chronic back pain. The experts came out against use of the medicine for knee pain from arthritis, though. August 19, 2010  The actress recently revealed she has osteopenia. Well, Gwyneth and fans of Gwyneth, we have something important to tell you about this so-called disease. 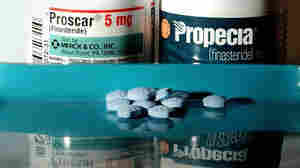 August 18, 2010  Jazz Pharmaceuticals wants to sell a prescription drug called Rekinla to relieve fibromyalgia pain. A panel of experts to the FDA will weigh in this week, with special attention to how Jazz will keep the medicine away from creeps. August 18, 2010  The company's chief executive says a new quality overlord will report directly to him. The change, made after a string of embarrassing recalls, goes against the grain of a company known for decentralization. August 18, 2010  A medicine that was supposed to help Alzheimer's patients by blocking the formation of so-called amyloid plaques in their brains instead made them worse. August 16, 2010  In a first, the agency is proposing to withdraw approval for a medicine because its maker didn't follow through on a promise to conduct clinical tests. 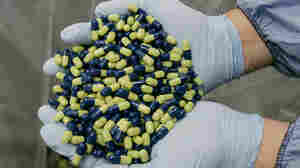 The drug was prescribed to about 100,000 people in 2009. August 16, 2010  The costly biotech drug blocks the growth of blood vessels that feed tumors. In July, a panel of experts voted 12-1 to recommend that FDA take back the approval, a rare step, because the benefits don't outweigh the risks. August 12, 2010  With so many people getting so much of their information from social media, it's little wonder that drugmakers are entering the arena to sell their wares. Some say the Food and Drug Administration has been too slow to police the new frontier. 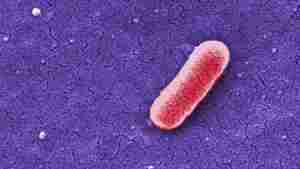 August 12, 2010  Bacteria in South Asia have picked up a powerful ability to thwart most common antibiotics. Now scientists fret that the bugs, which have spread around the world, present a growing health threat. August 11, 2010  A survey shows that doctors aren't prescribing a pill that has been shown to reduce the risk of prostate cancer. Confusion about side effects and the challenge of measuring success are two reasons why. 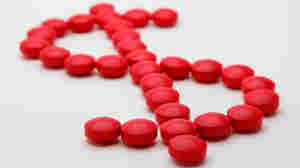 August 4, 2010  The source of drug-study funding seems to make a difference in the way the results get out. Studies paid for by drugmakers tend to be more positive than those bankrolled by other sources. August 4, 2010  A biotech medicine for people with a rare genetic disease is in such short supply that some patients want the government to break the company's patent. The unprecedented move would clear the way for another company to make the drug. August 2, 2010  As Medicare analysts mull whether to pay for a $93,000 prostate cancer treatment nationwide, a debate over its worth rages in public comments to the government. Some critics have sought anonymity, fearing an online backlash.